I love, you love, watermelon. There are few things that say ‘summer fun’ more clearly than a juicy watermelon. Down to the Woods have captured the essence of childhood summer in a gorgeous rug. The vibrant pink and green hues and slightly irregular shape combine in this watermelon rug to create a statement piece that’s perfect in a bedroom or playroom. But really, who wouldn’t want this front and centre in the lounge room so the whole family can enjoy a little taste of summer? Each rug is handmade from felt wool so no two are exactly the same and each one invites you to sit and stay a while. Like what you see? 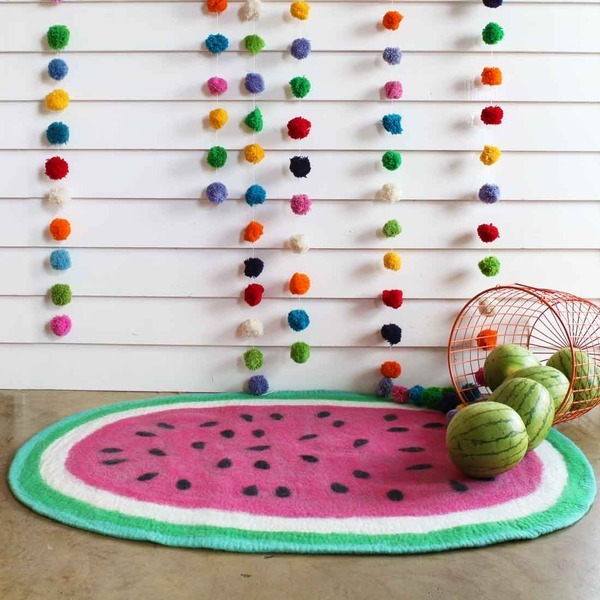 It’s no big surprise, this watermelon rug comes from the same company that designed and created the popular powder coated metal ‘hello’ signs. Down to the Woods is the thriving online business of Amber Clohesy. Since 2009, it has been pursuing the goal of ‘enchanting children and recapturing memories for grown ups’. Their products are now stocked in a number of leading baby stores around Australia and Amber has recently launched a store in Melbourne called Woodsfolk. 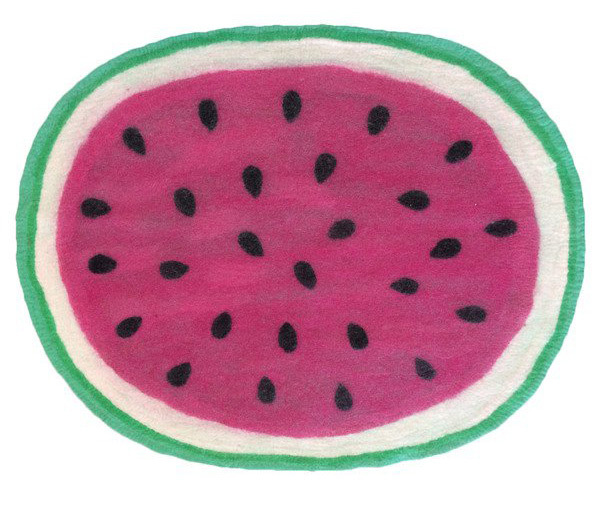 You can purchase the watermelon felt rug from Down to the Woods for $250.